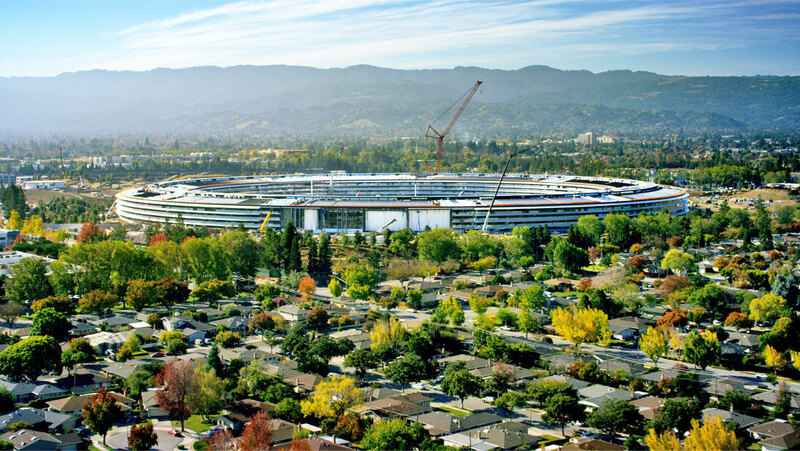 Forget 'Campus Two," "Spaceship" or "Doughnutsville," because Apple's new headquarters has been officially named Apple Park. The company has announced that the multi-billion dollar building will begin operations in April, with 12,000 employees moving in across six months. Apple has also revealed that the building's 1,000-seat auditorium will be christened the Steve Jobs Theater in memory of the late co-founder. Of the many innovations that Apple Park will boast include it being one of the most energy-efficient buildings in the world. Tim Cook claims that the facility will run "entirely on renewable energy," with its solar roof generating 17 megawatts of energy. In addition, Apple Park will have a store and cafe that's open to the public, as well as a 100,000 square foot fitness center for employees. Not to mention an artificially constructed orchard, meadow and pond within the doughnut's center.